Design and Share your Offers for FREE! 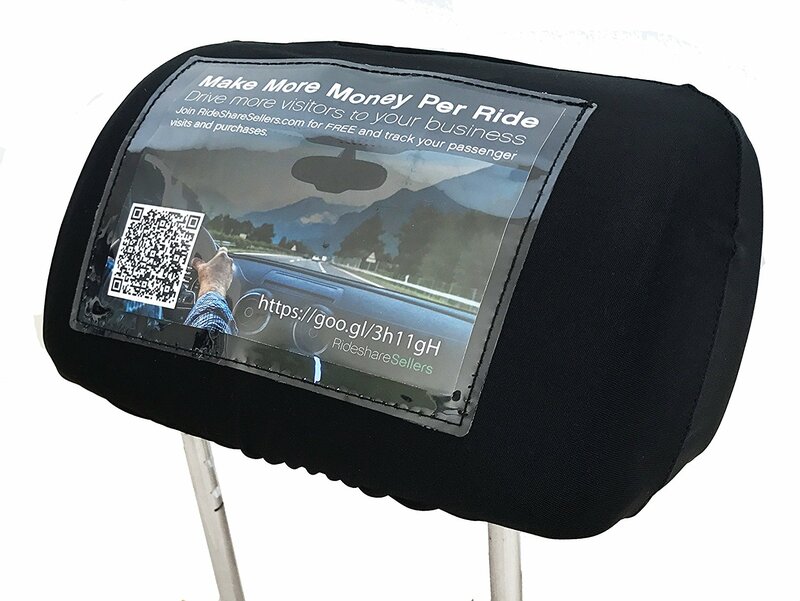 Share your product, service, event, or local business on your headrest and track results for FREE with SeatSCAN. We have a Q&A section in our driver’s hub that explains how it works today, and what to expect moving forward. 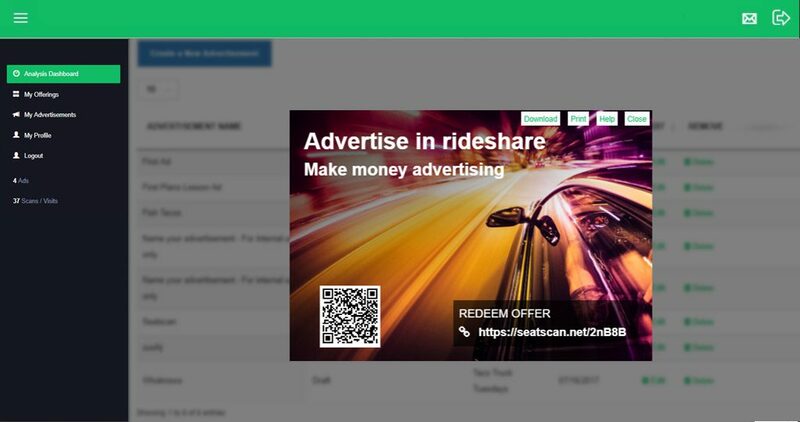 Our Offer Exchange is coming soon to connect Rideshare Sellers drivers with businesses to deliver offers directly to passengers. After signing up for your FREE SeatSCAN account, you can add your business, product, service, or event and create offers that riders can scan or visit via URL (SMS coming soon). We direct passengers directly to your webpage, blog, or social media site. Create simple ads without any design skills or import your own custom advertisement artwork. 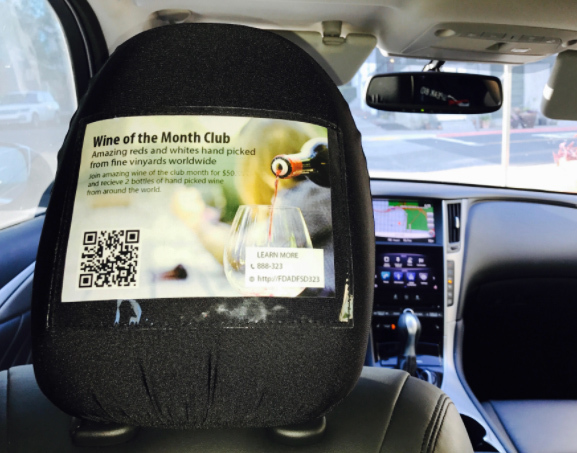 Preview, print, download or stream your ads to be used with SeatSCAN in vehicle headrest advertising options. Keep it simple! That is our approach to introduce SeatSCAN for self employed entrepreneurs who want to share their products and services with passengers. Stay tuned for new exciting digital solutions for your ads! We want to learn and share your story what makes you successful. We are actively writing case studies about business owners who drive Rideshare. Contact us to schedule an interview. 1. 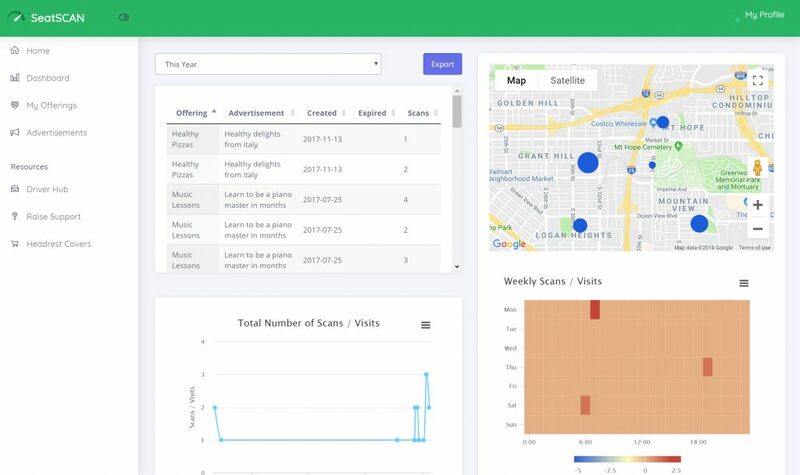 Track where your potential customers are most likely to show interest in your offering and plan your routes accordingly. 2. Track what days and times passengers are likely to show interest in your offerings.